We offer Wire hair dachshund puppies for sale, English Creams, All patterns, Long & Smooth coats. From time to time we have Adults for Sale. All of our adults are always directly from our kennels. Shipping Dachshund Puppies is a service we are happy to offer to you. What should you be feeding your Doxie? In this hard economy folks are growing their own vegetable gardens. Why not share the vegetables with your Dachshund? In case you didn’t know, most Dachshunds love raw vegetables. An inexpensive, low calorie alternative to packaged treats, veggies load up your badger hound with nutrients, not empty calories. With a few exceptions your Doxie can eat the same foods you grow or buy for yourself. See below for exceptions. Carrots (very popular with the pooches), Zucchini (your Doxie will love to snack on the slices), green beans, cucumbers, sweet peppers, eggplant, and tomatoes. avocados, bones, cat food, chocolate, caffeine, fatty rich foods, fruit pits & seeds, grapes, raisins, nuts, mushrooms (found in your yard – if they are safe for you, they are safe for your dogs), nutmeg, onions, garlic, salt. Now let’s get along to commercial dog food. Is the food you’re feeding your dog causing death? What should you be feeding your Doxie? Is the food you’re feeding your dog causing its slow death? Many commercial dog foods contain chemicals and by products such as phosphorous acid, butylated hydroxysanisole, ethyoxyquin, sorbitol or propylene glycol. These products may lead to cancer, obesity, heart attacks, kidney diseases or even death! Homemade dog food offers a safer choice, BUT most owners are unsure of the nutritional needs of their dogs. Homemade diets can be lacking in the key nutrients. Some believe homemade diets are time consuming and expensive. Perhaps you would like to try the this recipe link: http://allrecipes.com/recipe/homemade-dog-food/. What does my dog need for his food and what doesn’t he need? How much should he eat as a puppy / an adult? Is my dog food safe? What should I feed him and what should I avoid? It is easy to get confused with the variety of available dog food. IMPORTANT! Learn to read the label. Ingredients are listed in descending order by percentage. The 1st three or four ingredients make up the bulk of the food content. The 1st ingredient should be meat and should be listed by exactly what kind of meat. For example, it should say chicken rather than poultry meal or lamb meal or meat meal. The terms poultry and meat can indicate it is any kind of bird or any kind of meat and may not come from a controlled environment. Meats should be simply the kind of meat or meal and not a by product. By products can cause diarrhea and do not have much nutritional value. Most lamb and rice or chicken and rice combinations are safe. We highly recommend Life’s Abundance Dog Food. Click here to learn more about “FIVE YEAR HEALTH GUARANTEE”! 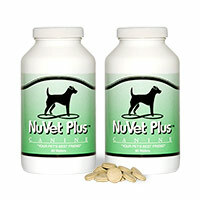 More than a million dogs and cats are using NuVet to protect against most ailments. Click here to learn more. Please call 828-321-4646 or 828-360-4647 or use our contact form for prices..